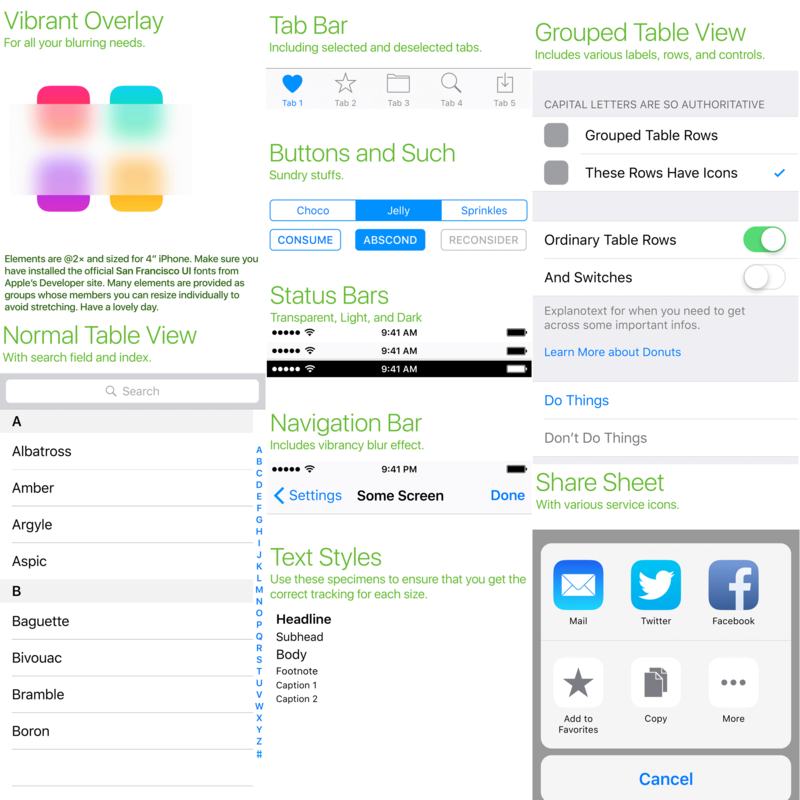 A stencil of iOS 9 objects including toolbars, buttons, toggles, text styles, table views, transparency overlays, and more. If you’d like to see something added in future versions, shoot us an email! A template is on the way.